One person who reads this will win a 35mm movie camera. The rest of you just get thirty free films. Netflix has proved such a world-beater since it launched in the UK last year that I can’t help but feel sorry for its competitors, even if the words ‘heat’, ‘stand’, ‘can’t’ and ‘kitchen’ come to mind whenever my mind wanders to the downfall of LoveFilm. Like so many others, the once-dominant UK brand is quickly losing ground to the US giant, because it provides an identical service without the benefit of Netflix’s gargantuan economies of scale. Only one company seems to recognise its inevitably subordination to camp Netflix and capitalise on it in an inventive, canny fashion. 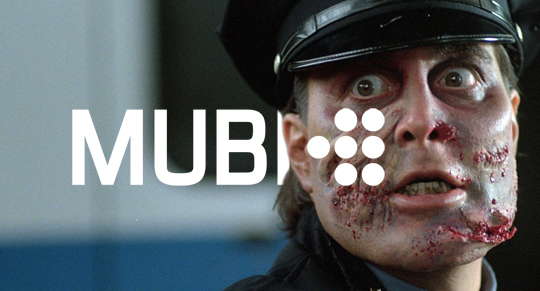 I’m talking about MUBI, the one with the silly name and the genuine enthusiasm for cinema. Their offering — a new film every day, hand picked by the MUBI team and available for one month — provides you with far fewer films than you’d get with any of their competitors, but ensures a higher standard of film and a far more eclectic selection. This month’s films include Nick Broomfield’s incredible Aileen Wuornos doc The Selling of a Serial Killer, James Gray’s artsy relationship drama Two Lovers and William Lustig’s trashy 1988 video nasty Maniac Cop (pictured above). Click here to experience the majesty of the online partnership. Better yet, they’ve given me a ‘Lomography LomoKino Mubi Edition’ camera (worth $129!) to give away to one lucky reader. According to the blurb, it’s a hand-cranked 35mm film camera, allowing you to ‘shoot a movie of 144 frames on any 35mm film’. I’m not sure if you have to assemble the frames yourself or what, but it seems like a fun thing to put in your bag and bring out at parties. It also has Uncle Boonmee director Apichatpong Weerasethakul’s signature on it for some reason. 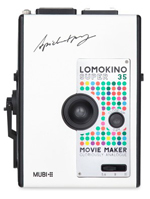 Q: Would you like to own a ‘Lomography LomoKino Mubi Edition’ camera? UK entrants only please; I’m not made of stamps.